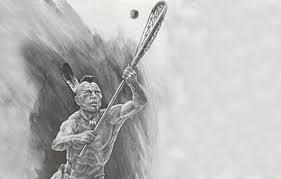 The Harbor Fire Lacrosse Association-- founded by Craig Wickstrom, Ken Uddenberg, and Tino De La Rosa-- brought modern lacrosse to Gig Harbor, WA in 2009, providing teams for boys and girls from 3rd through 8th grades. Ken Uddenberg, Marc Kemp & Kelly Bland coached the first 7/8th grade boys team. In 2010, Marc Kemp and Kelly Bland started the high school boys team, serving both Gig Harbor and Peninsula High Schools. Over the next three years, Ken Uddenberg (2011), Tracy Lyon (2012 & 2013) & Tom Olson (2013) joined the high school teams' coaching staff. In 2014, the league’s governing body (Washington High School Boys Lacrosse Association) mandated that conglomerate clubs split, so separate teams were created to align with GHHS and PHS, and the GHHS team was moved to Division I. Marc Kemp, Kelly Bland, and Tom Olson continued to coach the players from GHHS while Tracy Lyon and Rusty Wilder assumed leadership of the players from PHS. The victor of the Baggataway Bowl is awarded “The Fire Stick” trophy. The Fire Stick is a symbol of the Harbor Fire Lacrosse Association, of the players, coaches, and families who divided into two proud clubs, and of baaga`adowe itself. The head was custom dyed and strung by Coach Marc Kemp in the original red and black colors of HFLA. The more traditional stringing materials and wood “Crooked Arrows” shaft are homage to the Native origins of the game. It is intended that the Fire Stick shall pass to the winner after each contest in perpetuity.